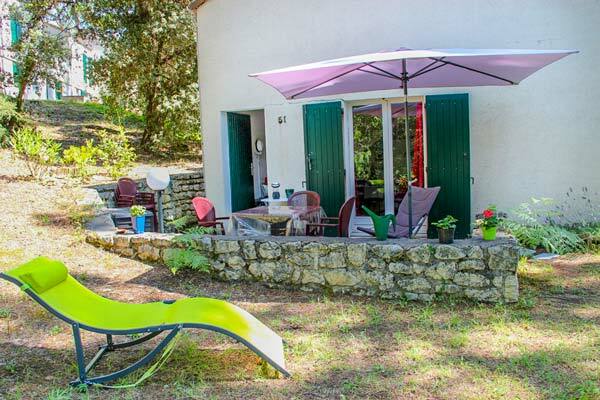 Enjoy the comfort of a gîte in Royan while enjoying the leisure facilities and services of the Village Vacances Océan Vacances ! We offer you welcoming and warm holiday rentals in a preserved and wooded setting only 800 meters from the beach. 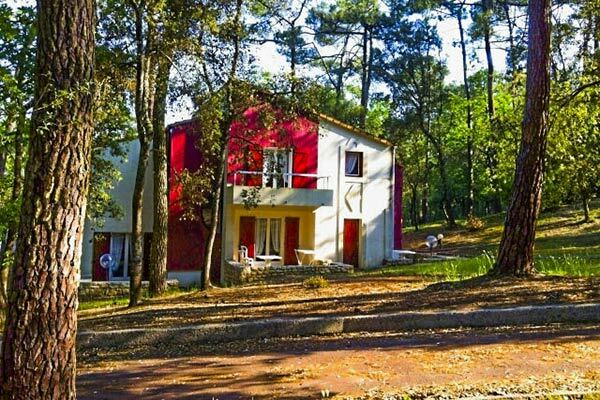 Pleasantly located on our site, between the forest and the leisure facilities, the cottages of our holiday village near Royan are divided into accommodation of different capacities, respectively adapted to accommodate 3 people, 3 to 5 people, 4 to 6 people, and up to 6 to 7 people. Depending on the houses, you will find 1 to 3 bedrooms and sometimes additional extra off-bedroom beds. 3 cottages with a capacity of 6 to 7 people, particularly suitable for large families and groups of friends, have two bathrooms and two toilets. For your holidays as a duo or couple with 1 child, our small cottages offer you from 32 to 38 m2 of interior surface and 1 to 2 bedrooms. 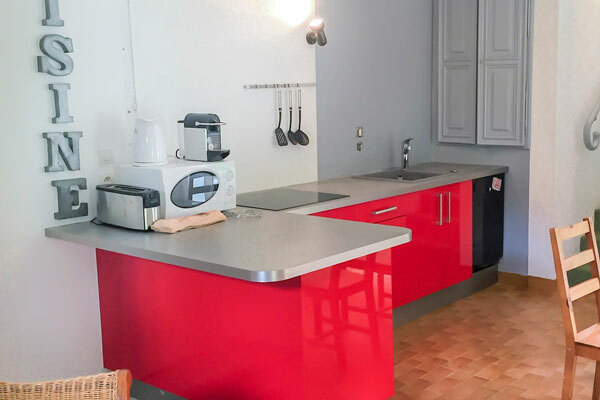 For your daily comfort, our Royan cottages are carefully decorated, equipped with quality furniture and bedding, and offer you a wide range of equipment: large refrigerator-freezer, oven, television, dishwasher, washing machine, bathtub, garden furniture, electric heating, plancha. Des services can be booked in addition, such as breakfast, the provision of sheets, or the cleaning at the end of the stay. Some of our duplex cottages have both a terrace on the ground floor and a balcony on the first floor : ideal for enjoying the good sea air and the landscape! The exposure of the gîtes is specified in each description, as well as their location in relation to the site’s facilities and services (aquatic area, restaurant, bar-snack, children’s club or sports grounds). Take advantage of our cottages for your holidays in Royannais country.